Situated in the South East of France in the historical RhA?ne-Alpes region, Lyon encapsulates 2000 years of history a�� offering Roman, medieval and Renaissance architecture. Lyon is a magical place all year round but Autumn is a particularly fantastic time to visit Lyon, France, for two specific reasons. Held once a year in Lyon the LumiA?re festival is one of the largest international festivals of classic cinema a�� offering a journey through cinematic works of the past and presenting 390 screening, 180 films, across the 24 municipalities of Lyon. The festival is inclusive and is held from 8th October to 16th October 2016. You can watch films, visit exhibitions and fairs, and participate in master classes. In December Lyon is lit up for four consecutive nights by a variety of different artists who install their light creations in buildings, streets, squares and parks all over the city. Millions of visitors from all over the world come to Lyon to enjoy the 70 different light installations which create a magical and fantastical atmosphere just before Christmas. 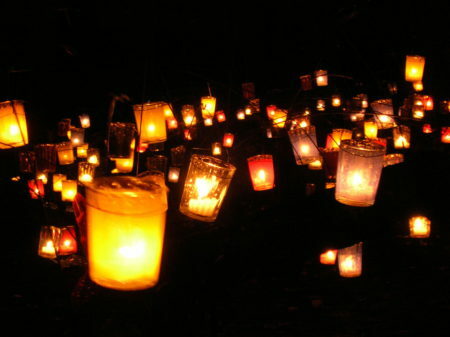 The Festival of Lights happens from 8th December to 11th December 2016. Lyon is the perfect place to improve your French and get practising with the locals at either the LumiA?re festival or the Festival of Lights. Our general French courses start from just A?128 per week or if you are into French gastronomy and wine you could even join our French and cooking course from just A?204 per week. If either of these festivals inspire you to visit France and pick up some useful French, simply call us on 01273 830 960 or email us. Our multilingual team will be happy to answer any questions you may have.